Publisher’s Summary: There's something strange and deadly loose in Philadelphia. . . . Eleanor Fitt has a lot to worry about. 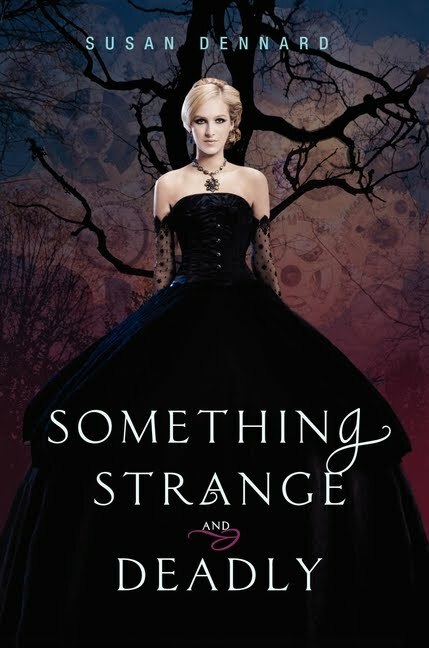 My Take: The moment I saw the cover of Something Strange and Deadly and read the summary, I was more than eager to read this book. So the moment I got a copy in mail, I was more than eager to pick it up and start reading it right away. And now that I’ve read Something Strange and Deadly, I have to say that I’m in between liking it, and really liking it. In the very beginning of this book there is a pretty awesome scene that has Eleanor (the protagonist) coming face-to-face for the first time with one of the Dead…and it delivers a mysterious message to her. Dun, dun, duhhhhn!!! (LOL…that sounded better in my head than after I typed it out!) And, at that moment, I was really intrigued by the story. But beginning almost right after that scene I had a really hard time getting into this book. I tried to rack my brain as to why I was struggling so much while reading this story. At first, I thought it was maybe just the time-era when the story was written. But then I realized that I love a lot of books written in the era of the 19th century. So now I’m left here thinking that maybe I was just feeling like I was reading a book without any paranormal elements to it. I guess the Dead and the ghosts that actually were in the story, weren’t in it enough for me…even though “they” are what this story is all about. Does that even make sense? Otherwise, the story was really good! There were a couple twists that I put together pretty quickly, but there was one twist that totally caught me by surprise! As for the characters, I really like Eleanor! She is a really good protagonist, especially coming from that era in time. There’s also a character named Jie, who’s introduced a little bit later in the book who was probably one of my faves! Best of all, Daniel is an awesome love interest! Mysterious, smart, dangerous…I could go on and on! 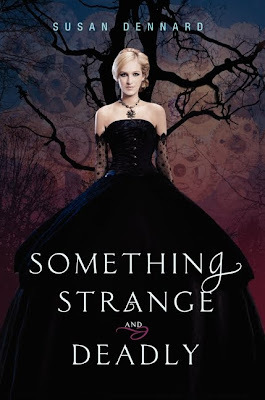 So, basically, in Something Strange and Deadly you can find an awesome female protagonist in the 19th century era, a hottie boy who is off limits, with zombies and ghosts added into the mix! Does that sound like something you want to read? This is on my TBR list, and I can not WAIT to get a copy and read. I've decided that if you & Jamie like it then I MUST read it RIGHT away! I more than liked this one I loved it! :D I'm really curious as to what caught you by surprise??? I have been wanting to read this book since I first heard about it. I won a pre-order of it so I am really looking forward to that coming in. I'm glad that you really liked this one. Fab review!! AH...another that I'll need to add to the read-soon pile!! It sounds amazing---ghosts AND zombies, ok well I'll have to get over my aversion to zombies, but I love ghost stories! And I especially love unpredictable twists!